As different health risks impact men and women in different ways, there are a number of health concerns that uniquely affect men. These concerns, unfortunately, become more of a risk as men age. At the Center for Sexual & Urinary Function in Phoenix, Globe, and Show Low, Arizona, board-certified urologist Peter Niemczyk, MD, FACS, helps men manage their health risks and address their common health concerns. If you’re looking for support managing your health, schedule an appointment online or by phone today. What are common men’s health concerns? Opting for a holistic approach, Dr. Niemczyk takes the time to evaluate the overall health of each patient, resulting in individualized, patient-centered care. Currently, Dr. Niemczyk offers both medical and aesthetic services for addressing men’s health issues. The P-Shot, also known as the Priapus Shot®, is a minimally invasive procedure that uses the healing power of platelet-rich plasma (PRP) to repair penile tissue, improve blood flow, and relieve erectile dysfunction. This procedure allows patients to avoid medications by using restorative platelets found naturally in the blood. The metabolic code (or metabolic evaluation) is an advanced assessment that gives your physician a detailed road map for enhancing your health and wellness. Having a proper understanding of your metabolic code can help address difficulties with falling or remaining asleep, weight gain, decreased libido, and joint or muscular discomfort. Depending on your individual evaluation, Dr. Niemczyk may recommend a number of lifestyle adjustments like alterations to your diet, education on your health risks, and specific vitamins and nutritional supplements. What aesthetic services are available? Men also deal with physical changes such as wrinkles and smile lines as they age. To help address these issues, Dr. Niemczyk provides minimally invasive aesthetic procedures that help reverse signs of aging and improve the skin’s appearance. 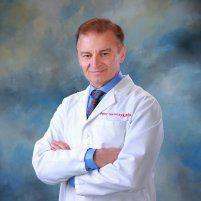 For example, Dr. Niemczyk also offers restoration services using PRP. By improving blood flow and encouraging the body to regenerate tissue in specific areas, Dr. Niemczyk can help address signs of aging and improve overall appearance. He also offers fractional skin resurfacing, a procedure that helps stimulate the production of collagen and improve elasticity. Dr. Niemczyk’s methods are minimally invasive, scar-free, and require little to no downtime. Ensuring your long-term health and wellness requires the support of an experienced team of medical professionals. To get started on your journey to health, schedule an appointment at the Center for Sexual & Urinary Function online or by phone today.